Northarvest budgets for the Dry Bean Health Research Program (DBHRP) which continues to fund $20,000 grants for scientific research projects intended to identify the health benefits of dry beans. Communique administers the DBHRP and they have reported that there have been $545,000 in awards that have yielded $7.7 million in funding. This includes$6.5 million in major awards and $1.2 million in smaller awards. Applications are scored by a peer review panel and award decisions are made in consultation with scientific advisor Dr. David Allison and a representative of Northarvest. Communique emails “The Bean Bites” weekly on behalf of the NBGA/The Bean Institute to more than 5,600 dietitians and nutritionists. The Bean Bites contain one “bite-sized” piece of edible bean material that is informative, easy-to-read and also written by a registered dietitian. Northarvest also supports the continued development, maintenance, and addition of new content to the Bean Institute website. Communique’s services include monitoring of the web and keeping it fresh, responding to visitors’ questions and requests, adding all materials as they become available, updating newsletter issues of the Bean Bites, and monitoring of website traffic and analyzing usage data. The social media plan developed on behalf of Northarvest by Communique is to assist in gaining maximum value for Northarvest by putting the Bean Institute social media program under the same roof as the Bean Bites and the BeanInstitute.com website. 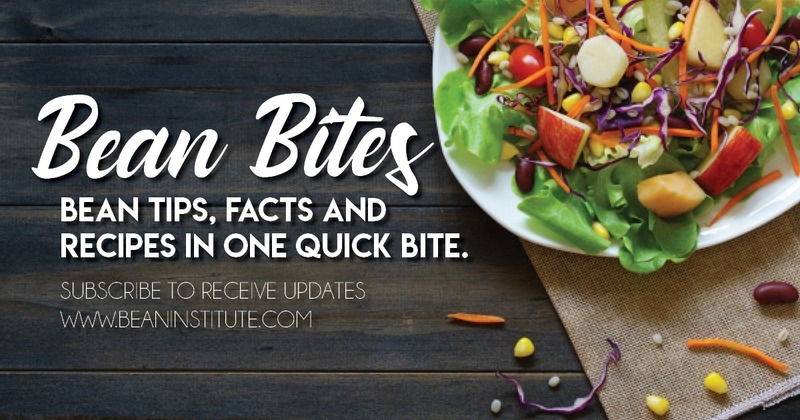 The goal is to consistently grow the Bean Institute’s online community by targeting home cooks, culinary and foodservice professionals, nutrition educators, and school nutrition professionals with timely, impactful messaging. Follow and subscribe at BeanInstitute.com. The NBGA exhibited at the 2018 NEAFCS Annual Session in San Antonio, Texas. There were approximately 800 Extension Educators that attended. 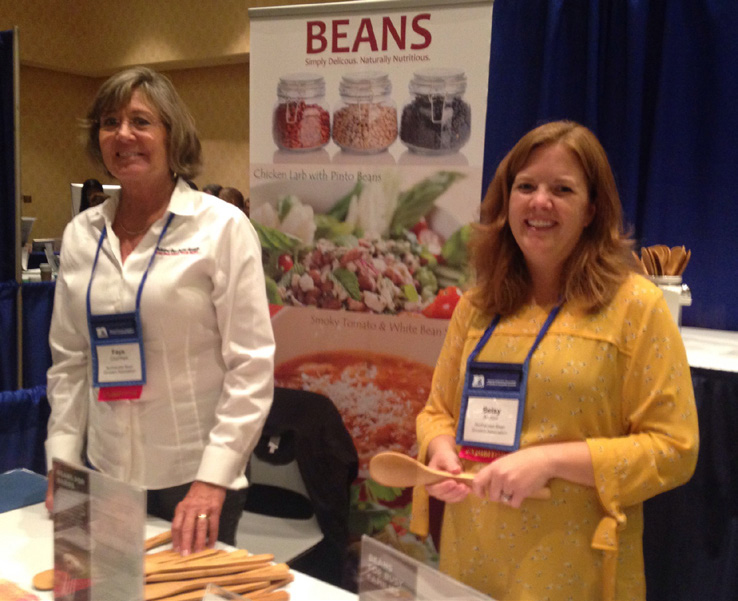 At the exhibit, NBGA focused on the health benefits of dry beans and also Northarvest attended the NEAFCS 2018 Annual shared dry bean Session in San Antonio, Texas at the end of Sept. promotional materials such as recipes, information and bamboo spoons to help Extension Educators in educating their audiences about dry beans. Northarvest attended the NEAFCS 2018 Annual Session in San Antonio, Texas at the end of Sept. 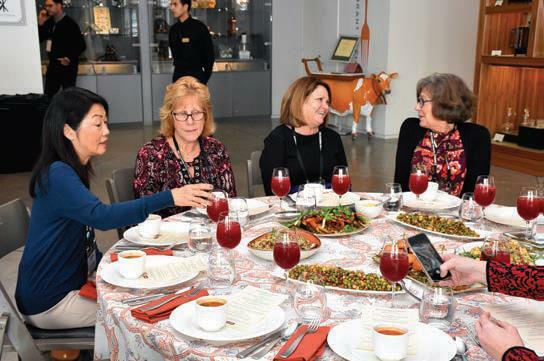 The NBGA was a Bronze sponsor of the 15th Annual Flavor, Quality & American Menus (FQAM) — Envisioning the Future and Stimulating Dialogue Among Chefs, American Foodservice and Agriculture at the CIA in Napa, California. FQAM was on an invitation-only basis to 30-35 of the nation’s most influential chefs and foodservice industry leaders. As a Bronze sponsor we were involved in a “Market Basket Exercise” where participants created new menu concepts as well as engage with sponsors and their products. 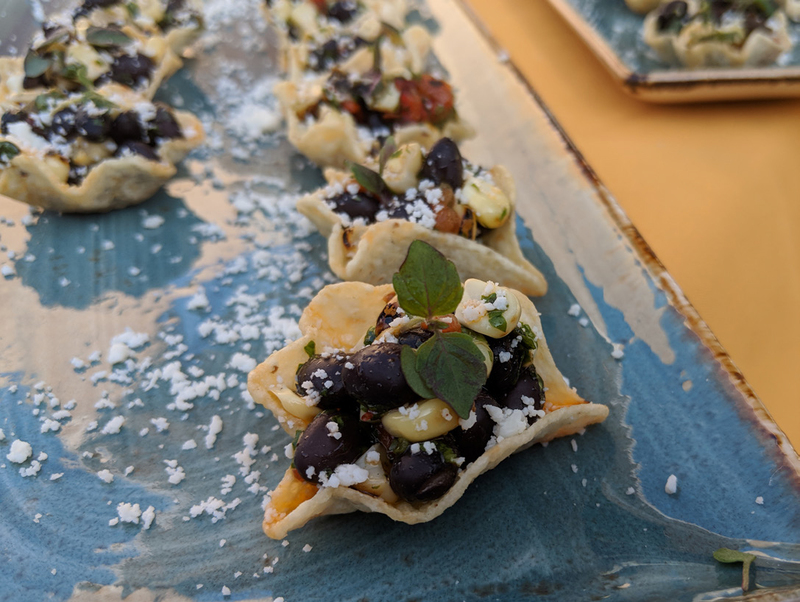 We also had the opportunity to ask questions via Slido and attend a reception where “Black Bean and Sweet Corn Toastaditos with Avocados” were served to participants and they had the opportunity to ask questions about edible beans. Northarvest attended the FQAM in Napa, California at the CIA in August. Edible beans were used in the “Market Basket Exercise” to allow chefs to engage with sponsors and their products. The NBGA sponsored, as an Associate Corporate Member, the Appetites + Innovation — A National Leadership Forum and Collaborative for Retail Foodservice’s 3rd Annual meeting at the CIA in Napa, California. During the two day event, there were approximately 14 sessions scheduled with many opportunities to network and mingle with participants. Discussion centered around consumer trends such as convenience foods, nutrition and price. Northarvest attended the Appetites + Innovations Forum at the CIA in Napa, California. 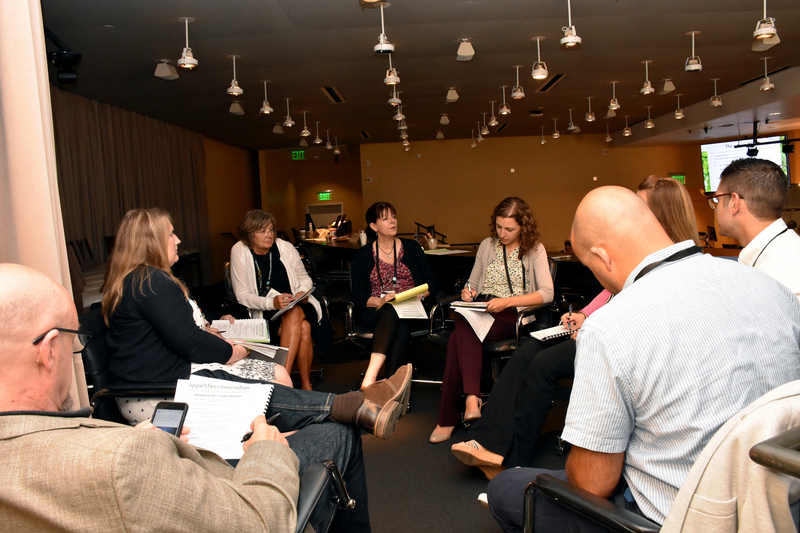 Pictured is “Group Ideation Time” where participants bring unique ideas and learn how to pitch them to the C-Suite. Representatives from the NBGA attended the Healthy Kitchens, Healthy Lives Conference held at the CIA in St. Helena, California. Faculty members from the Harvard Medical School and the Harvard T.H. Chan School of Public Health and other prestigious institutions presented the science of diet and nutrition. The event focused on plant-forward cooking and eating style, calling it the best path to a healthy sustainable diet. A diet high in fiber from real plant-based foods, such as edible beans, is seen as a positive food choice for people and the planet. Mark Dombeck and Faye Courneya place stamps on attendee’s passports for an opportunity to win an instant pot donated by Northarvest. The NBGA was a Silver sponsor of the Worlds of Healthy Flavors at the Culinary Institute of America (CIA) in Napa, California. The conference highlighted consumer trends with the new normal being plant-based foods and keeping food light and fresh. A CIA family lunch with Faye Courneya, Northarvest Bean Growers Association, and ladies from the U.S. Army Natick RD&E Center, Combat Feeding. Dry bean producers Georgia and Matt Thompson of Wyndmere, N.D. talks with a guest at Banquet in a Field. 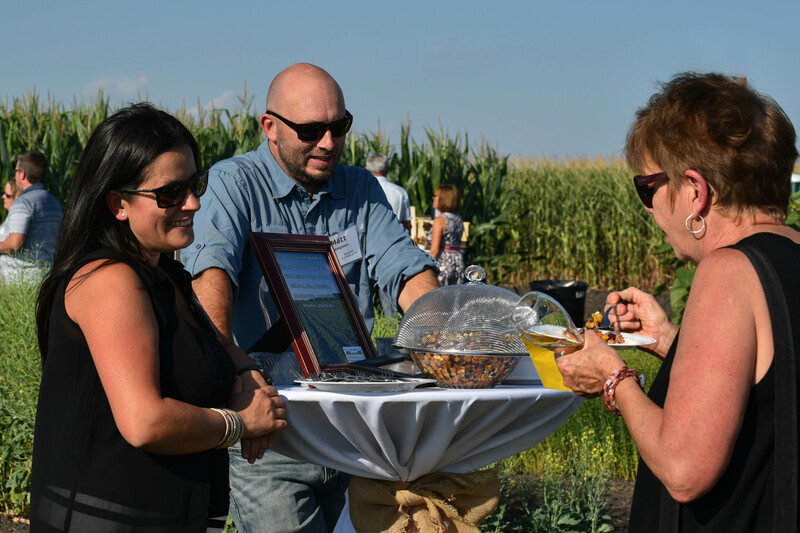 Prior to the sit-down dinner, guests toured crop plots to learn more about each crop and tasted appetizers featuring the food grown in those fields. Northarvest sponsored several regional trade shows, including WIC, Living Ag Classroom, ND Winter Show, NDSU Harvest Bowl, Eat Smart Play Hard and the 5th Annual Banquet in the Field. Northarvest works with the Red River Farm Network (RRFN) to keep growers updated on important agricultural issues. This partnership provides the BeanGrower Magazine, “The Dry Bean Scene” and the weekly Northarvest e-newsletter. The Northarvest Bean Growers Association sponsored the North Dakota Agriculture magazine, which showcases agriculture throughout the state. CIA World Bean Kitchen Recipe Development created five new recipes focusing on Beans and World Spices. Recipes and videos are online at CIAprochef.com/northarvest. The CIA Social Media program reports for the third quarter a total of more than 19,000 views about beans on YouTube and iTunes. Total video views of more than 565,000 since launch. More than 5,800 people follow the CIA’s Pinterest board, with 46 pins. On May 30, 2018, an eblast announcing new content had also been sent to more than 23,000 food service professionals. 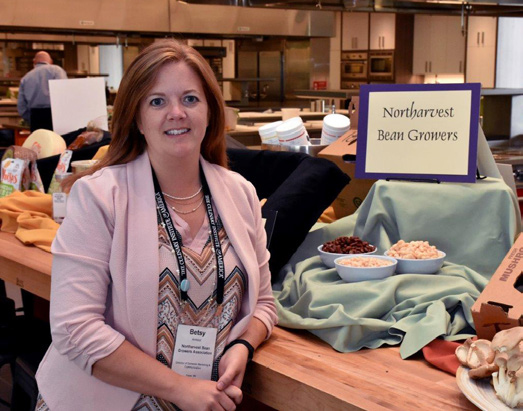 Northarvest works with an agriculture, health and nutrition communications firm Communique to provide dietitians, nutritionists and consumers with up-to-date information along with strengthening the promotion of dry beans as a delicious and nutritious lifestyle. Communique continually monitors The Bean Institute website by keeping it fresh, responding to visitors’ questions and requests, adding all materials as they become available, updating newsletter issues of the Bean Bites, and monitoring of website traffic and analyzing usage data. Communique also emails “The Bean Bites,” (one “bite-sized” piece of edible bean material that is informative, easy-to-read and also written by a registered dietitians)weekly to more than 5,600 dietitians and nutritionists.